Click on the thumbnails to open a larger version. This first drawing shows the layout’s lower level from the Up staging yard through to the tunnel at Ardglen. Trains climb the 1 in 84 (1.193%) grade all the way to the tunnel. This distance is 193 feet (59 metres). 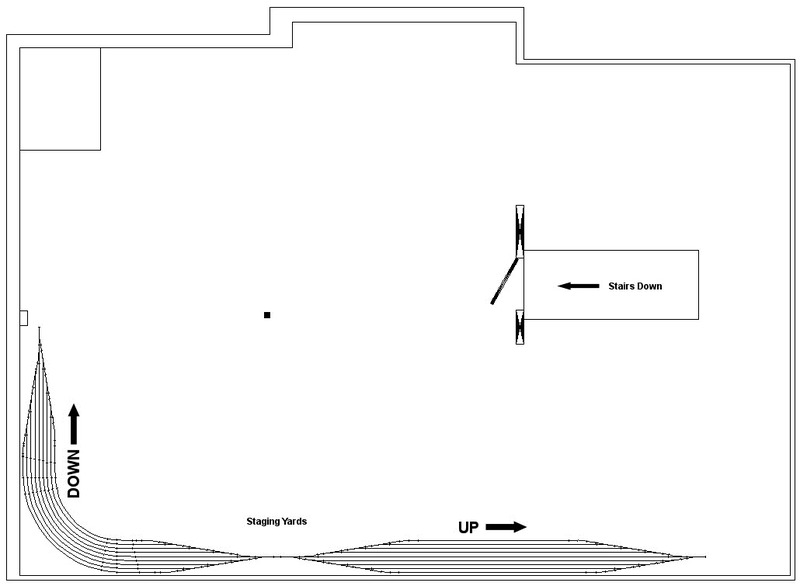 This drawing shows the layout’s upper level from the tunnel on the Ardglen side right back to the Down staging yard. Trains travel this section on a level grade to the top of the helix, then descend the five turn helix on a 1.837% grade. The section from the top of the helix to the point shown is hidden. Trains then reappear in the scene, remaining on the same grade until the staging yard. This distance, including the helix, is 270 feet (82 metres). The helix itself is 92 feet (28 metres) long. 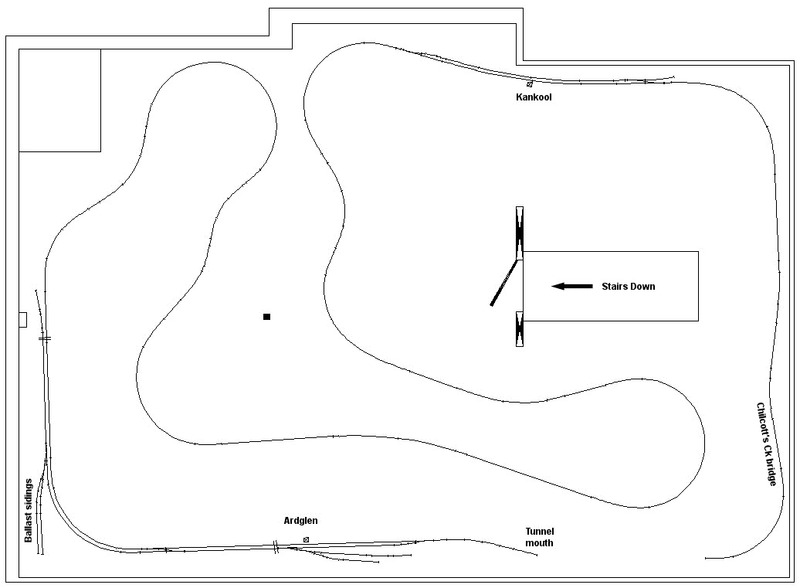 The final drawing shows the two staging yards. 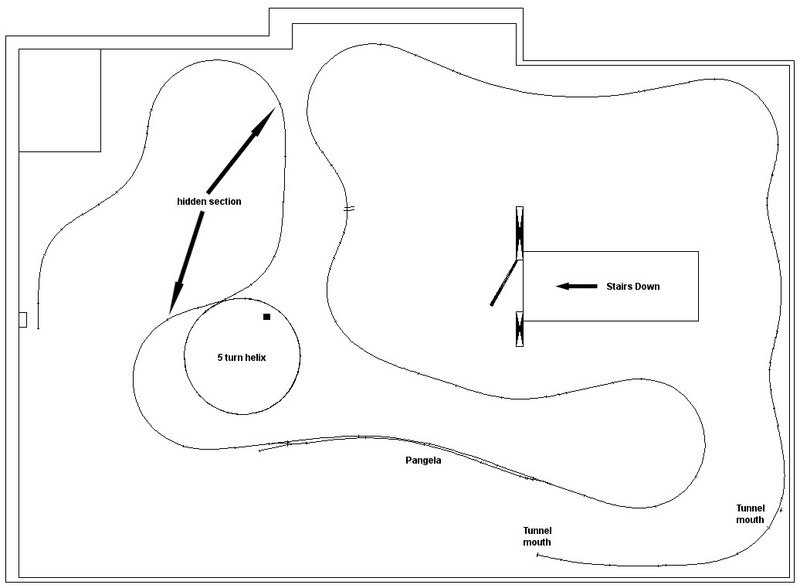 Each yard can hold eight complete trains, permanently marshalled facing the directions shown. The middle road is kept clear as the ‘through road’. The longest road is 17 feet (5 metres) long.